Get the Best Carpet Cleaning Services At Claremont WA 6010! We, at Carpet Cleaning for Perth, are your go-to-guy for carpet and rug cleaning. Be it a commercial enterprise, or just your home, we provide you with the most professional and personal care for your carpets and rugs. We have carpet cleaning facilities for all kinds of stains. For us, all carpets are important; whether it’s your brand new expensive carpet or an age old one which has been with the family for ages. We take the same amount of care for all carpets. We also understand that not all stains are the same and that is why we take extra care when it comes to carpet cleaning. While some stains refuse to go, we try to remove all stains to the best of our ability. We provide steam cleaning services which are very popular with our clients at Claremont WA 6010. But that’s not all, we can do a lot more. So read on! Steam cleaning removes deep-seated dust, mites, and stains if done by professionals. Once steam cleaned, your carpet will look almost good as new! Steam cleaning requires special equipment, which we have. How it works is the water is heated to such a high temperature that it neutralizes the sticky, adhesive structure of grease and dirt. The moment the stickiness gets neutralized, the dirt and stain comes off easily. It requires a professional to get the right amount of heat to remove the stain. The heat from the steam kills germs and mites who love to make your carpet their home. Our advice would be that you regularly get your carpets steam cleaned as that increases their longevity. We also provide regular carpet cleaning services. You can ask us for a free quote – be it for vacate cleaning, regular annual cleaning or emergency cleaning. If your child has decided the carpet should eat chocolate along with him, or if someone has spilled wine on the carpet, don’t wait to call us. The earlier you get in touch with us, in the case of a bad stain, the better it is for removal. Once the stain sets in it takes longer and often doesn’t leave the carpet completely. We also understand that there are different kinds of carpets so the same treatment wouldn’t work for all. A Berber carpet with large loops is perhaps the easiest to keep clean whereas wool or frieze carpets are tricky to clean. Our team has professionals who understand carpets and clean accordingly. Along with carpet cleaning services, we also do rug cleaning. 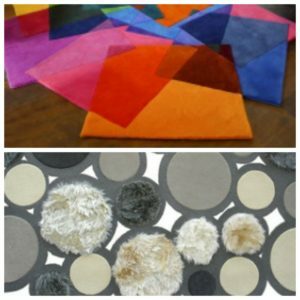 Rugs made with wool or knotted rugs usually require a lot of care. Your carpet and rug will get the right amount of care if you come to us. A clean carpet means a relatively germ/ allergen free home. While a regular vacuum is good for the carpet an annual cleaning is a must. So don’t hesitate to call us anytime for your Claremont WA 6010 home/office, we’d be happy to help you! Upholstery is any furniture that has soft padded textile attached to it; the most common example is that of a sofa or an armchair. While they uplift the look of your sitting area, if not maintained properly, the effect is just the opposite. Your kids, pets love to sit on it and if you love entertaining or just spend a lot of time at home, your upholstered furniture gets used a lot. So, no matter how much you take care, food crumbs, dust, germs, stains invariably find a way to your upholstery. Almost 80% of dust and dirt could settle on your upholstered furniture if you also have carpet in your house. You should, therefore, regularly opt for upholstery cleaning. It is time-consuming and you may not be able to give it the amount of time it requires. You need to identify the correct cleaning material and method for a particular surface as incorrect cleaning method would shorten the lifespan of your furniture. The fabric used for upholstery usually absorb odour. 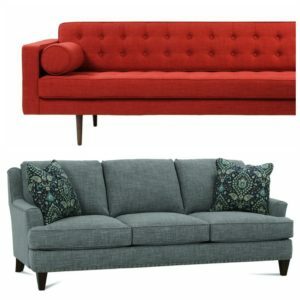 A bad smelling sofa/couch is embarrassing, especially when you have guests over. Our deep cleaning facilities take away the odour and leave your upholstery smelling fresh. You need advice on how to maintain upholstery on a regular basis. We’d give you some tips and tricks, to clean efficiently. Some stains require special attention and stronger solvents damage fabric. You may have bought or rented upholstery cleaning equipment but you need to know how to use it. The main reason should be health. Humans shed a lot of dead skin cells which is a feast for dust mites. Faeces of dust mites are one of the main causes of allergic reactions in humans. And where better to find a lot of dead skin cells? Your sofa of course! Professional upholstery cleaning does deep cleaning, killing all the dust mites and ensuring you have a healthy home. We, at Carpet Cleaning for Perth, know the difficulties you can face and that is why we are equipped to handle all kinds of upholstery cleaning issues. At Claremont WA 6010, we take care of your upholstery. We are tough on stains but gentle on your fabric. The products we use are eco-friendly and non-harmful. We sanitize and deodorize to give you an allergen free home. How Frequently Should You Clean Your Upholstery? You can get your upholstery cleaned every 24-48 months. However, in case of any emergency (like a big, bad stain), don’t wait for that long. Stain removal is the toughest and once it settles in, it may not completely go. If you have pets or young children, we advise you to clean more frequently. We are now at Claremont WA 6010, so don’t hesitate to contact us. We will be right there for you. Our Tile And Grout Cleaning Services Leave Your Floors Shining! Dirty looking floors always creates a bad impression to anyone walking into your house or your office. Tile and grout cleaning is the most tedious part of your household chore; after all, all the dirt, grease, stains and mud decide to stick on them. If just the thought of cleaning breaks you into a sweat, pick your phone and call us, for we are now available at Claremont WA 6010! Why It Is Important to Get Professional Tile and Grout Cleaning? After a point of time, all tile floors start to lose their shine. Regular scrubbing and mopping only clean the floor superficially. Since grout is porous, it absorbs all the dirt on it, and mopping does not deep clean which leads the grout to become dull. It isn’t as simple as it sounds. Each part of the house has a different tale to tell and therefore have different kinds of muck on it. You’d expect grease and food spills on the floor in the kitchen and dining area; mildew or fungal growth in and around the bathroom, etc. Obviously, each part requires a different kind of cleaning. There are different kinds of tiles: ceramic, porcelain, travertine, limestone, etc. What you’d use on a ceramic tile, you can’t use on a limestone tile. Most people can’t look at a tile and tell what it is. 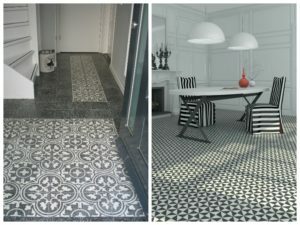 You, therefore, need experts like us to identify the tiles and provide correct cleaning materials. Since the cleaning materials are strong, incorrect cleaning solvent on a tile could make it go duller and spoil the surface. Proper tile and grout cleaning requires a lot of time and energy. Since professionals like us have both the equipment and the manpower, we are able to save you a lot of both. In situations like sale cleaning, end of lease cleaning, real estate cleaning, when the floors of the entire house need to be cleaned properly, it can’t be a DIY activity. You will need reliable professionals like us to do it for you. Why You Should Choose Carpet Cleaning for Perth? We pay attention to the minute detail. A particular type of grease, dirt, mould, or a particular type of tile- nothing misses our eye. Grout requires a lot of attention and we provide that. We pride ourselves on providing spotless tile and grout cleaning. Our team comprises professionals who love their jobs so they take a lot of care in what they do. We have all the latest cleaning equipment to take care of all your needs. We are readily available for you and are prompt in our response. Reach out to us when you’re spring cleaning, office cleaning, commercial cleaning, or at any time when you need an exhaustive tile and grout cleaning; we will be there by your side. So what are you waiting for? Contact us at Claremont WA 6010 without further delay! Whatever cleaning service you require for your home or commercial enterprise, remember we are just a call away. We at Carpet Cleaning for Perth take pride in our work and provide holistic cleaning. From tile cleaning, mattress cleaning, carpet, and rug cleaning to upholstery cleaning we assure you of a healthy, germ-free, shiny new home. We understand that it’s not just about staying clean, it’s about looking that way too. And this is just what our professionals believe in. We’ve just opened up our services in and around Claremont WA 6010. So do contact us at for a free quote! Seeking Carpet Cleaning, Upholstery Cleaning or Tile and Grout Cleaning in Claremont WA 6010? Call us now on 0424 470 460.